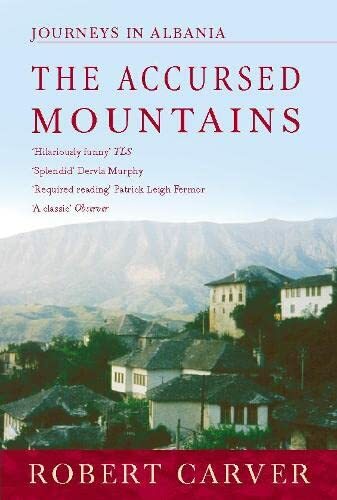 The remarkable tale of a series of journeys through remote, extraordinary Albania in the brief period between Communism and anarchy before it was again closed to Western travellers. The remarkable tale of a series of journeys through remote, extraordinary Albania in the brief period between Communism and anarchy before it was again closed to Western travellers. Travelling by bus, on foot, by mule and horse, staying with Albanians in their houses and crumbling Stalinist tower blocks, Robert Carver meets Vlach shepherds and village intellectuals, ex-Communist Special Forces officers and juvenile heroin smugglers, missionaries with jeeps and light planes, and ex-prisoners of Enver Hoxha who have spent 45 years in the Albanian gulag. In the remote villages of the Accursed Mountains of the far north, he is the first Briton seen since the Second World War, when Intelligence officers were parachuted in to help fight the German occupiers. On his journey to Lake Gashit, high above the snowline on the Serb-Montenegrin border, Carver survives murder attempts and suicidal bus rides. He sees villages last visited by outsiders in 1933, which had effectively been hermetically sealed off from the rest of the world. In Tirana he experiences the contrasting side to life in Albania when he finds himself in the diplomatic set, inadvertantly consorting with Balkan highlife and involved with eccentrics worthy of an Evelyn Waugh novel. High adventure, danger and comedy alike are recounted in this sharp and spirited narrative, a highly original experience of a mysterious mountain land.